Time, gravity, and genetics affect the way our faces age; it’s inevitable. The full, vibrant, oval or round appearance of youth eventually transforms into the deflated, tired, squarish appearance of maturity. A facelift, which is frequently combined with a neck lift, can help you restore the youthful appearance you once had. Aging brings characteristic changes to the appearance of our faces. Our faces deflate and lose volume. The skin along our jawlines sag and become irregular. Similarly, our neck skin starts to sag and ‘bands of skin’ appear. 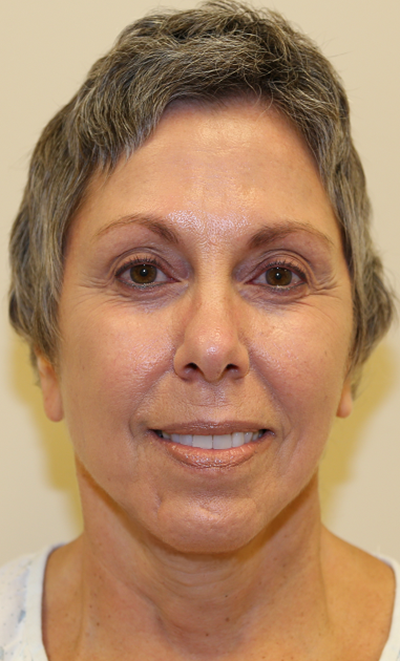 My patients in the Orange County area seek facelifts and necklifts to reduce the signs of aging. 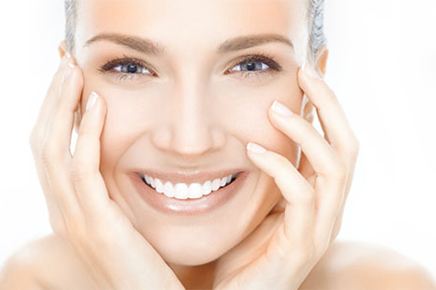 If you’d like to return to a fresh, youthful appearance, these procedures may be for you. A necklift is often combined with a facelift, in order to address the sagging neck. Patients who are experiencing loose neck skin, fat deposits under their chin, or the formation of jowls can benefit from receiving a neck lift. In some individuals, either procedure can be performed alone. A facelift, or rhytidectomy, addresses many of the above concerns by tightening facial skin and repositioning facial fat. Facelifts are effective ways of smoothing the sagging and wrinkling that produce jowls, nasolabial folds, and creases below the eyes. A facelift will deliver subtle but noticeable facial rejuvenation that the patient can enjoy for years. Facial fat transfer is a great adjunctive procedure to enhance the appearance of a face/necklift. By replacing fat where it has been lost, fat transfer helps restore a more youthful facial shape. The facelift technique has advanced significantly from decades past when the skin only was pulled to ‘tighten’ the face. This created unnatural contours and a ‘windswept’ facial appearances. Moreover, the results of ‘skin only’ lifts were brief due to the natural elasticity of skin and its ability to stretch over time. I use an advanced technique referred to as a bilamellar, high SMAS facelift. This technique utilizes the tissue layer deep to the skin called the SMAS, or Superficial Musculoaponeurotic System, to lift and reposition fallen fat and restore more youthful contours. This new method moves facial skin and fat safely and effectively, which allows me to elevate the face above your cheekbone, up to a higher portion of the outer cheek than what was possible with previous facelift methods. The result is a more natural and longer lasting rejuvenation of your face and neck. My goal is to provide you a natural, refreshed appearance without the ‘stigmata’ or tell-tale signs of surgery. The incision design is meticulously planned to make scars less conspicuous and hidden. Most of my patients are told by friends and family that they look different – well rested and brighter – without realizing that they’ve had facial aesthetic surgery. Facial anatomy is an area of considerable interest to me and I’ve spent a tremendous amount of time perfecting my surgical techniques in this area. This has included visiting and learning from some of the most preeminent facelift surgeons in the country from Miami to San Francisco. As a Double Board Certified Plastic Surgeon, with extensive experience in facial aesthetic surgery, I can provide you with safe, effective and reliable results that you can enjoy long term. Their previously sagging skin trimmed and tightened. This reduces the appearance of wrinkles and folds along the nose and mouth. Tightened facial muscles. A high SMAS facelift makes it possible to reposition the deep tissue of the face, helping the surgeon deliver natural-looking, long-lasting results. Restored facial contours. Because the skin is tightened and the muscles are repositioned appropriately, patients can see youth and symmetry restored to their cheekbones and facial features. Years taken off their appearance thanks to the smooth, natural-looking results of the facelift. A facelift helps patients match the person in the mirror with the younger self they feel on the inside. That they had an easy time combining their neck lift with other skin rejuvenation procedures, such as a facelift and/or eyelid lift. Candidates for a face and/or neck lift are looking for a way to turn back the clock on the sagging and wrinkles they see in their face or neck. 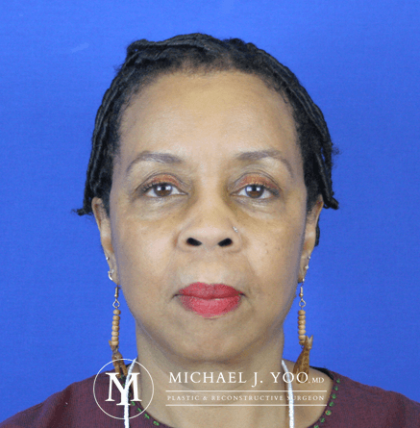 During your consultation, I will assess your skin, muscle, and bone structure, to verify that you will achieve your best, safest rejuvenation results with your lift. Some patients can achieve their desired result through only a neck lift, or a mini lift, which is a lift made to only the lower portion of the patient’s face. 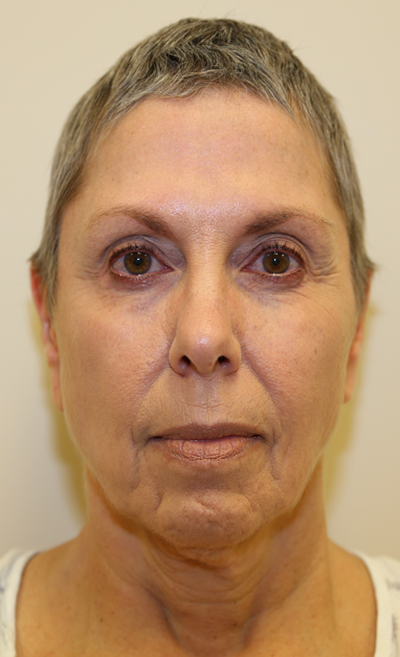 Many patients decide that a facelift, paired with a neck lift, is their best youth-restoring option. It is also important that candidates are open to and accepting of the outcomes of an aesthetic surgery. Ideal candidates for face and neck lifts are in good health overall and do not have a pre existing medical condition which could interfere with their recovery and results. It is also recommended that patients discontinue smoking for at least three months before their facelift procedure, as smoking can also impede the body’s healthy recovery. Patients who are overweight are advised to wait until all potential weight loss is complete before they receive a facelift. Any major weight loss that occurs after a facelift will interfere with the results achieved during the procedure. Most facelift procedures are administered under general anesthesia, but can be received under local anesthesia if the patient’s case permits. Depending on whether the patient will undergo a neck lift, facelift, or both, the procedure will take from two to four hours to complete. During your SMAS face and/or neck lift, I will carefully make incisions, usually behind the ears and under the neck. Excess skin will be removed. The deep tissue will be re-contoured to allow the skin to sit tightly and naturally, supported by the face’s re-positioned fat. Some patients may receive a fat transfer or other treatment during this time to improve the contour of the face. Incisions will be closed with stitches or tape. Some patients may have a drainage tube placed behind their ear to prevent a build-up of blood beneath their skin. Patients who receive this tube will return to the office to have it removed within a day or two of their procedure. Patients will be free to return home to begin their recovery the same day as their treatment. It is important that patients schedule a ride home with a friend or family member, however, so that the anesthesia can wear off safely and the patient can begin their recovery stress-free! Most patients are extremely pleased with the significant improvements they achieve with a face/necklift procedure. There is typically little to no bruising from this procedure. Swelling is also usually minimal and can be expected to improve significantly over the next several weeks. It is important that patients keep their heads still and elevated during this time in order to minimize swelling. Sutures are removed in 6-7 days. Most patients opt to take off work for 10 days to two weeks while their face and/or neck lift heals. After approximately 10 days, light makeup use is permissible and most patients are ready for light social activities – going out to dinner, meeting friends and family etc. Stretching and light activity are permitted during a patient’s recovery from their face or neck lift, but strenuous activity should be avoided for the first two weeks. Patients are also advised to avoid blow drying their hair or drinking alcohol for the first few months. While the results of a facelift are natural-looking, the procedure requires time to allow your body to adapt to the change. Rest and relaxation are a vital part of your achieving your best skin rejuvenation. On average, the results achieved by a facelift last for at least five years. This period can be longer, or shorter, depending on the health and habits of the patient. If we maintain a healthy lifestyle, our bodies will reward us in the long-term! Because every patient’s anatomy is different, every surgery I perform is uniquely tailored to best suit the needs and desires of the individual. Each patient’s treatment plan is unique to the needs of their case. The cost of a patient’s lift procedure will vary based on the type of lift they are receiving, and the degree of work to be done. 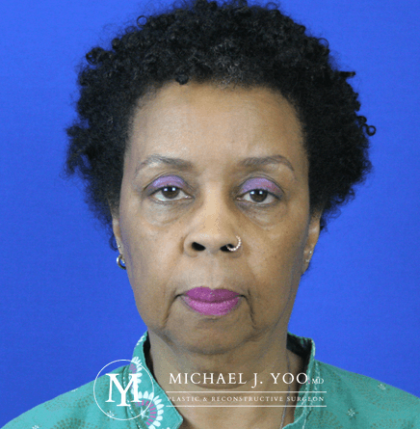 After a consultation, my helpful staff will be able to provide you with a cost estimate for your facelift, neck lift, and/or mini lift. During your consultation, I’ll discuss your goals and answer any questions you may have regarding this procedure. Come prepared to discuss your medical history, current lifestyle, and any medications you are taking. If you are considering this procedure, please call my Irvine office or Contact Us here to get started and see if a facelift or a necklift is for you.